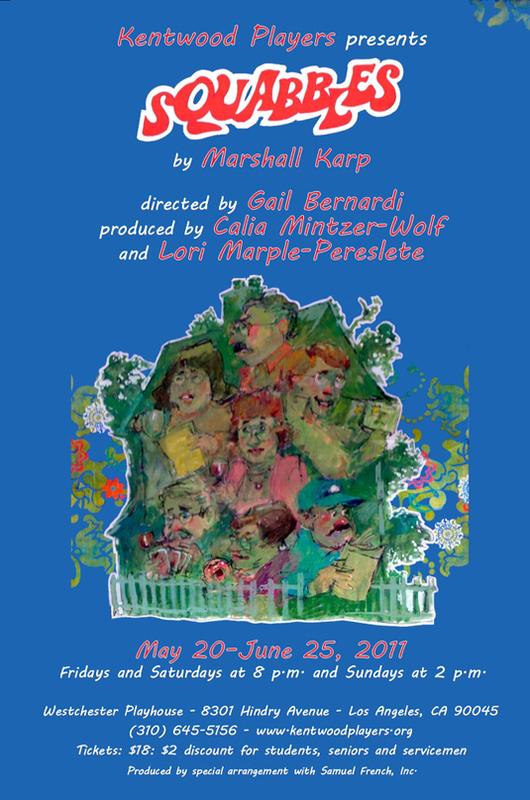 This hilarious play pits a father-in-law against a mother in a comedic succession of family squabbles. Jerry Sloan is a successful writer of advertising jingles and his wife, Alice, is an equally successful lawyer. Living with the happy couple is Jerry’s wise-cracking curmudgeon of a father-in-law, Abe Dreyfus, a retired New York cabbie. The situation is exacerbated when Jerry’s mother, Mildred, loses her house in a fire and needs a place to stay. But Jerry’s mother and his father-in-law don’t like each other one bit, so how will they all survive in the same house? It’s a guaranteed laugh-a-minute situation with a heart-warming ending. Has it come to this for Abe and Mildred? Alice and Jerry - alone at last! Abe and Sol enjoy a relaxing game of gin rummy. In a quiet moment, the family toasts their good health. A truce is finally reached between the in-laws. At last there's a happy family in the Sloan household. The baby finally arrives home. “Don't touch baby!” is not what proud grandparents want to hear. Parents think even a wet baby is adorable.